Twin Cities playwright Harrison David Rivers, 35, is having a banner year, both in his personal life and in his career. He recently got married. And, count them, three Twin Cities theaters are producing his work next season. “It’s all kind of crazy but I’m loving it,” he said Wednesday. On Saturday, Rivers (right in photo) tied the knot with Christopher Bineham, his partner of two-and-half-years. Bineham is assistant director of development for individual giving at the St Paul Chamber Orchestra. The wedding, which took place in downtown St Paul and was officiated by Jeremy Cohen, producing artistic director of the Playwrights’ Center, was not something he could have predicted. Rivers moved to the Twin Cities three years ago from New York, where he had lived for nine years and had become, by his own admission, artistically stuck. He intended to live in Minnesota for a year — the length of his playwriting fellowship from the Jerome Foundation — then move back to New York. The more includes meeting Bineham. Playwright Josh Wilder, Rivers’ friend who had moved to the Twin Cities on a Jerome Fellowship before Rivers, advised him to “find some warmth” in order to get through the winter. Rivers went online and found Bineham. Rivers also became part of what he described as “an amazing community of artists” who have become friends, including playwright Christina Ham, who was his mentor during his fellowship year. “They can spoil a young man from Manhattan,” he said. By Manhattan, he means the small city in Kansas, where he grew up the eldest of four sons born to a father who works as a design tech for an energy concern and a librarian mother. The joy that Rivers feels about his personal life is matched by something just as good in his professional life. Twin Cities audiences will get to see Rivers’ range as three significant companies offer premieres of his work in the 2017-2018 season. “A Crack in the Sky,” which Rivers co-wrote with Somali educator Ahmed Yusef, will premiere at the History Theatre. The play tracks the life of a Somali shepherd boy and gifted storyteller who moves to America where he’s inspired by Malcolm X and Maya Angelou. Faye Price will direct (Feb. 10-March 4, 2018). Theater Latte Da will premiere the musical “Five Points” under the direction of theater founder Peter Rothstein. Rivers wrote the book for this show set which has music composed by Ethan Pakchar and lyricist Douglas Lyons. “Five Points” is set in New York in 1863. As the Civil War rages, the lives of a black dance prodigy and an Irish jig champion collide (April 4-May 6, 2018). 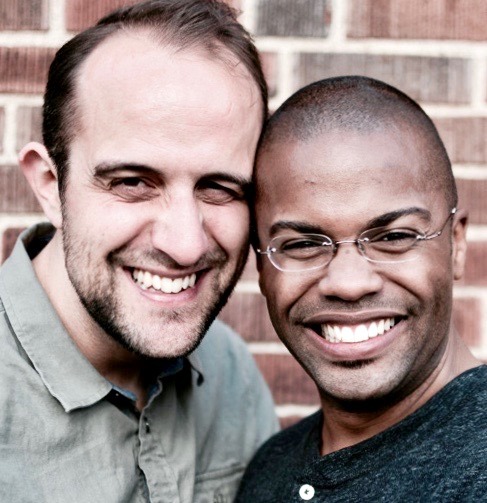 And Penumbra Theatre will produce the regional premiere of Rivers’ “This Bitter Earth,” about an interracial gay couple’s journey and struggles between 2013 and 2015 — the throes of the Black Lives Matter movement. Talvin Wilks will stage that production (April 26-May 20, 2018).